* If this shirt is not available to us we sometimes use Jerzees, FOL, Anvil or Hanes but this is RARE. The exception not the rule. 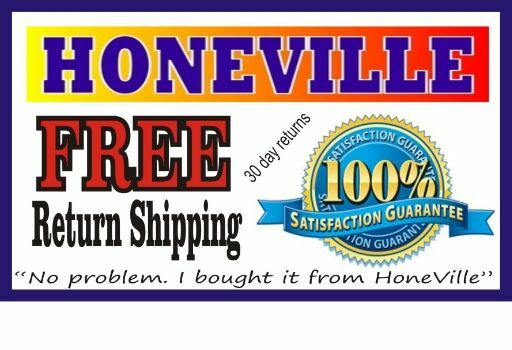 HoneVille knows shopping online for clothing is challenging. There are no dressing rooms, no mirrors, no way to touch and feel the garment. Stock photos may not always show the true quality of the item. That's why we offer a no hassle FREE RETURN SHIPPING policy. Once the item arrives and you have it in your hands if you're not totally satisfied simply use eBay's managed return center and return it for a refund... We'll even pay return shipping for you so there's NOTHING to lose and a great sweatshirt to gain. (Free returns is USA only) Returns on single shirt purchases are PRE-APPROVED and SELF-SERVE! * Most orders ship within 1 business day. 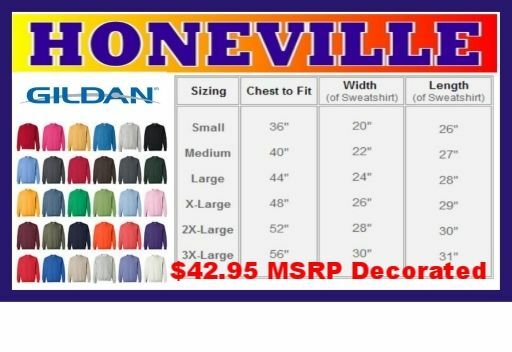 * We strive to keep all sizes in all colors in stock ALWAYS.